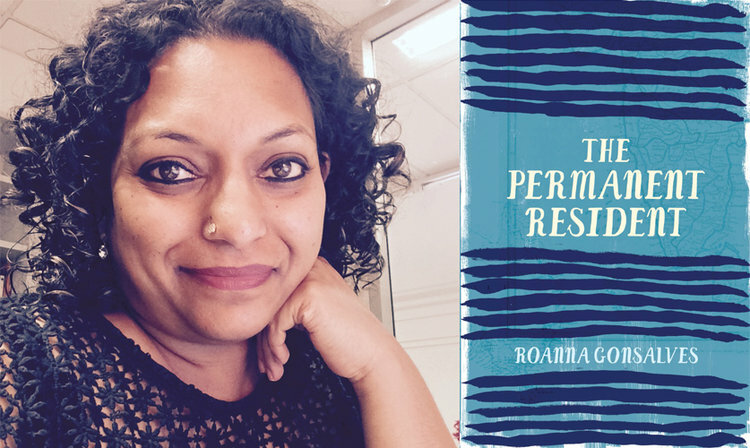 This month’s Read Like a Feminist Bookclub will be discussing Roanna Gonsalves’ The Permanent Resident. Ahead of our bookclub discussion, come along to hear Roanna in conversation with Founder/Editor of Feminartsy, Zoya Patel at Muse Canberra, Sunday 7 May. More info is here, and read on to get a sneak peek into what you can expect from the discussion! Roanna Gonsalves came to Australia as an international student from India. She is the author of The Permanent Resident, an acclaimed collection of short fiction published by UWAP in November 2016. Her series of radio documentaries, On the tip of a billion tongues, commissioned and broadcast by Earshot, ABC RN, is an acerbic socio-political portrayal of contemporary India through its multilingual writers. She is a recipient of the Prime Minister’s Australia Asia Endeavour Award, and is co-founder co-editor of Southern Crossings. She has a PhD from the University of New South Wales, and has been facilitating and teaching creative writing workshops for all ages within communities as well as at schools and in the university sector for many years. Her research interests are in the sociology of the arts, social media, creativity studies, and postcolonial literatures. She can be found on Twitter @roannagonsalves or at roannagonsalves.com.au. Nowadays I say that I’m a writer. However, I had to bridge a huge chasm to get to this point. While I have always thought of myself as a writer in my own head, it took me years to feel I was legit enough to claim that title aloud, for many reasons, some of which I wrote about here . When did you first start working on The Permanent Resident, and was the initial idea different from how the collection turned out? I started working on this collection in 2011. The idea with this collection, right from the start, was always to play with language in order to write characters and places I didn’t often see reflected in contemporary Australian literature. I’m one of those writers for whom the idea for a story emerges not through character or image but through language, through a fresh cluster of words that sound and look good to me. The structuring and sculpting come after the first draft, once the first rush of ideas have been branded on the page with the iron of excitement over good-looking sentences. I hope the collection has turned out to be true to my original intention in some small way. There is a motif throughout the book of women, many of whom are trapped by a combination of cultural norms (both Indian and Australian), by their partners, or by a system that doesn’t support their independence – was this intentional, and what do you hope people take away from some of these narratives? That’s such a good observation. I tried to construct all the characters in the book as honestly as I could, as each story demanded. They all somehow turned out to be jammed in some way or the other, “like cheese in a rat-trap” as one of my narrators notes in ‘In the beginning was the word’. Some of them escape, some stay trapped and some ensnare others. I don’t particularly have a message or a moral for readers, except to hope that these stories will be read and enjoyed by many. All said and done, The Permanent Resident is a literary selfie of a country and I hope that it shines a light on a different kind of Australia. One of the remarkable things about your book is how you manage to portray the multitudes and variety of migrant experiences – what was your research or planning process for the collection? Thank you! The research and planning process included 18 years of observation of urban Australian life, mixed in with a love of the English language, and a desire to negotiate the wobbliness I keep feeling as an immigrant from India to Australia who is constrained by race, gender, and class, yet who benefits from the far greater constraints faced by indigenous communities. This is not to say the stories are autobiographical in nature, but that the words have emerged out of the two-toned fire of lived reality and the imagination. What’s next for you in terms of your writing? Like many writers, I live a double life trying to work numerous day jobs to provide for my family while also feeding my writing soul. I am working on a few different pieces, and hope to have some new fiction out sooner rather than later. Come along and hear more from Roanna at Muse Canberra this Sunday 7 May, at 3pm. Tickets are available online.